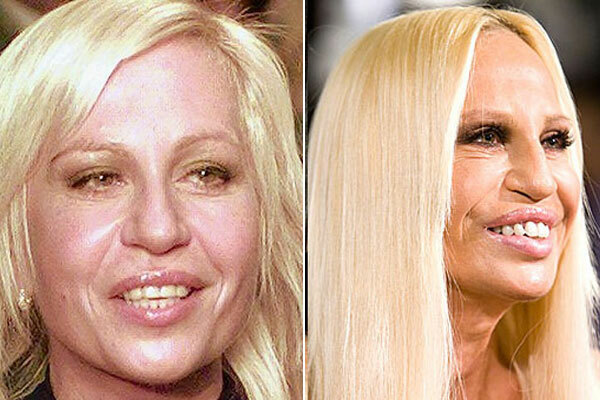 Since taking over for her brother Gianni Versace, platinum blonde fashion designer Donatella Versace has undergone drastic changes due to some awful plastic surgery. 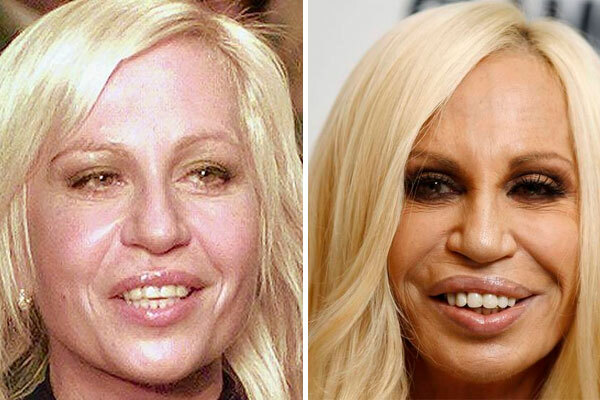 The once attractive Donatella has turned into a caricature of herself, grotesquely out of proportion features have diminished her natural beauty. Most noses become smaller after cosmetic surgery, but her’s is now wider, flatter, and slightly crooked indicating multiple surgeries and corrective surgeries. 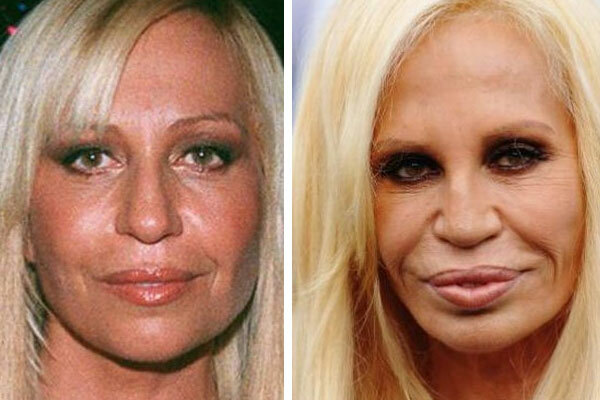 And although genetically blessed with large lips, Donatella has over inflated her top lip with with a filler like collagen for an unattractive “trout pout”. For a woman of 56 years her face is suspiciously tight and her forehead is wrinkle free even when she smiles. Botox. Botox. Botox. Her tight face is a strong contrast to the loose skin on the rest of her body, so she has also attempted a face lift at some point. 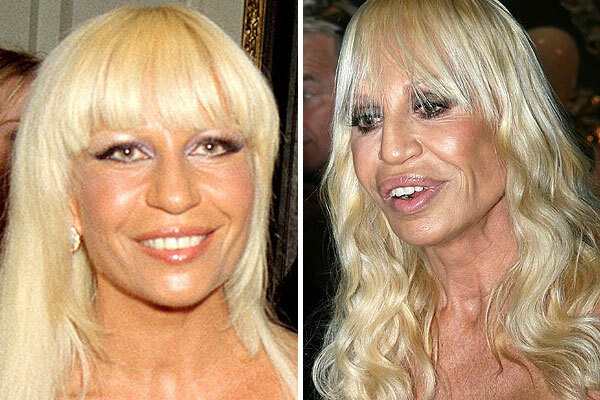 Donatella’s weight loss also revealed her breast implants. Anything left?